The title track opens the album and is an immediate statement of intent. With the lines ” recognise Rock N Roll” and “Rock It for the boys, rock it for the girls” it is pure punk n roll, all low slung guitar riffs with a glam pop chorus and vocals.. The good time feel doesn’t stop with “Ujpest Doza” which opens up with some woahhs and ahhs, which is always a good sign. This track has a sound similar to an old English band called Rich Rags who were one of those ‘really should have made it’ band, with their Wildhearts and Hanoi Rocks influenced sound. On “Mirrors and Wires”, the band manage to add even more melody to the mix and create a classic driving down the freeway song. On “From The Shadows” they do add a bit more darkness to the sound it is, relatively, a bit heavier but certainly a lot meaner. It actually sounds similar to the Gliterratti who are probably the last UK band of this ilk who promised so much. The more uplifting sound continues with “The Secret”, which has a great opening drum beat, followed by a bass rumble until the whole song kicks off. The riffs then build in to a pop chorus which actually sound like Silver Ginger Five which was the ex Wildhearts singer’s more commercial sounding side project a while back. The inclusion of a cover song is always a good indicator of a bands influences and this is certainly true of “No Way Out” which is included on this album. The original was a classic track by the awesome NYC punk rock N roll band D’Generation. When you hear this, the influence on the rest of the album comes clear – the riffs, hint of danger, cool choruses -yep they are all there! When you also learn that D’Generation’s guitarist Richard Bacchus actually plays on the track, you have to see that as a huge endorsement. Those great influences also come across clear on “Never Gonna Stop”. It includes the line “Stop me if you heard this song before” and the answer is that you have probably heard similar sounding songs before, but there is nothing wrong with that if it remains a great song. This builds in to huge Kiss esque riffs, that were built for screaming out in arenas. The final track, “Come Dig Me out” adds a nice, different touch by being a duet. It’s a great closing number which is fun rock n roll, with a catchy chorus and totally anthemic with its underlying hand claps. If this album isn’t enough you can also get their EP “From The Shadows” which is well worth it, even just for the great cover of “I Hate Myself for Loving You”. It’s a classic rock song that’s built for singing along to. Credit to JD & FDCs who add a shiny glam feel, to make it sound really great. It is their equivalent of the glam band Bang Gangs cover of T Rex’s 20th Century Boy. In many ways, this is the band that the UK should have delivered to counter the likes of Guns N Roses etc back in the late eighties and early nighties, as they could have been huge. They add that bit of Britishness and alternative Wildhearts feel, similar to the previously mentioned Rich Rags. It is important to emphasise that this is not some cheap, out of time, irrelevant sound. They also avoid that retro joke feel of bands like Reckless Love. It is just, good time rock n roll which has also been perfectly described previously as “Glunk” – a perfect mix of Glam and Punk. Jenny and The Steady Go’s describe themselves as a female fronted Rock n Roll explosion which is a great description of their sound. It is certainly great to have the song in a traditional vinyl 7″ format. “Sweet Nothing” is a really brilliant song. It consists of smooth and sultry vocals, against the backdrop of a classic sounding track with handclaps galore. The B side is called “Just Walkin” and is more of a Rock n roll sound. Faster paced, but equally great, it is a totally rocking track. It’s been a long while since a debut single has really sounded so good. From the very first listen it’s a case of move over Imelda May there is a new candidate for the modern Rockabilly Queen. If Jenny and The Steady Go’s can get anywhere near maintaining the qualities of these songs on a full album there is no doubt it is going to be a must buy. Opening track “So Into Me So Into You”, not surprisingly, has an opening that is very Enuff Z Nuff esque with a chugging guitar line complimented with a sweeter vocal sound and classic use of Beatles esque “Ahhs”. Despite being catchy, it still has a hint of something more sinister. Second track “Hello Happy” is an interesting mix of a retro sixties type pop sound but with a few electronica sounds thrown in. It has a real Beatles vibe to it and has a pop beat holding it all together. “Don’t Think Of Me This Time” has a much slower vibe and is a timely reminder that Monaco’s voice actually owes a lot to Elvis Costello. Similar to Costello, this is more of a ballad style but retains the element of quality songwriting. In fact, the more you listen to the song, the more you can see it being a missing track from a Costello album. The final track “Always and Forever” sees a return to the sound of his former band and is again a mix of a catchy melody and sugary chorus but importantly never reduces to anything throw away. It peaks with a great mid song break with just vocals and guitar. Against a back drop of numerous pop stars hitting the big time due to an appearance on a TV show or having been modelled by a record label it is tragic that a talent such as Johnny Monaco has not had the success he truly deserves. Hopefully, this EP will end up getting a wider release and most importantly lead to a full album. The album opens with the first single ” This Ladder is Ours” which proves a great opener and certainly deserving of its lead single status. It sets the benchmark for the album with its crunching guitars fighting against the sweet sounding vocals of singer Ritzy Bryan. It has a big epic sound but manages to still maintain a strong sense of melody with the chorus. This is certainly not the only song on the album which has single potential, so the record company may struggle in picking which of the other tracks to release. “Tendons” in particular has a great arena rock sound. As the song progresses it builds in to a swell punctuated by an epic chorus. This song, along with the album closer “The Hurdle”, has the feel of the final song at a festival headlining set. They have a real power which would sound great under a cold star lit night. A number of comparisons have been made between the Joy Formidable and Muse where it is clear that the time supporting that band on tour has had an influence. Songs such as “Cholla” and “Forest Serenade” have the same other worldly bombastic sound. Particular credit has to be given to Drummer Matt Thomas whose style has been described as “Octopus Drumming”. Certainly on this album the drums are huge and it gives a great sense of power and strength to many of the tracks, but in particular on “Bats”. Importantly the band do, however, seek to stretch their sound on the album and this ensures it doesn’t become too formulaic. The song “Little Blimp” brings a good change of pace and style where it actually starts with quite a funky guitar riff. This is a much simpler and straight forward song and provides an important break in the album. It is nice to see a side of the band which is not so intense but actually having a bit of fun. A different dynamic is also provided by “Silent Treatment” where again the simplicity of the song is important. This has a restrained guitar melody which allows the pure vocals of the song to really shine. It has a much gentler pace and rather than being space age sounding, actually provides space within the song to allow the melody to really breathe. Finally, the song “Maw Maw Song” probably deserves a review all to itself. The title is somewhat intriguing and vague but once you hear the song, at least you will know how to pronounce it. It will also stay in your head for a long time and at a quiet moment you will find yourself humming it out loud. The song actually starts with an oriental sound but in fact this is more like four songs in one. It is a real mish mash of both styles and tempos. It is certainly a brave move but actually shows the real capabilities of the band. It is also what makes them unique, compared to many of the dull bands around today as very few would have the confidence or ability to carry this off. The whole album totally engulfs the listener and it makes for a genuinely interesting listen. With a bit of luck the singles will continue to attract some more mainstream attention, which will encourage more people to discover a band who are trying to make a sound beyond the normal indie formula. This is Kitrocket’s debut album and the band is the work of singer/songwriter Joe Short, and the songs on the album were written with the former bass player of The Girls, James Oliver. “Ants & Stars” has already seen a release of a great single and video for the song “She’s French” which you really should check out. It is this great track which opens the album and its a super cool introduction to the band. It’s a kind of indie, almost electro, pop song which has some great lyrics. It is one of those tunes that you will find yourself humming for weeks after you first hear it. As the French (or Delboy) would say it’s tres magnifique! It is then followed by “It’s Business”, which keeps the same pop sound with clever lyrics but in a more laid back style than the opener’s pop fizz. The songs in this vein just keep coming throughout the album. This includes “You’re Hiding Something” which, initially, has an even more relaxed sound before building in to a great power pop chorus. Then with “Straight Line” you have another song which would be the perfect accompaniment for a drink in the summer sunshine. Although, for now, it will just have to be a reminder of that warmth on a cold winter night. “All Over The Place” is a perfect match of indie rock and a more electronic type sound. It has a sound like Soulwax when they first came out and at their most pop or maybe like the Dandy Warhols. This style is also evident on “Hanging Out” but the impact of the sweeter vocals is to give the song a much lighter effect. The album actually reaches a peak with the brilliant “Different Ways”. This is the kind of dirty pop hit which is very like the Dandy Warhols, but at their “Bohemian Like You” pop best. It isn’t all just punchy pop though and Kitrocket show an important ability to throw in some diversity and a surprise or two. On “I Don’t Know” they even manage to add a darker, more intense sound with added electronic effects. The biggest surprise though comes with “Any Girl”. Out of nowhere they deliver a simple and beautiful song. It is a genuine adult ballad that almost calls to mind some one like Crowded House. It’s very different to the rest of the album but is a really great song. This album is a great example of matching an indie style sound and approach with an understanding of a neat pop song. It is hard to think of many bands at the moment who can so effectively deliver this type of music. They have taken a sound which is based on delivering simple, well constructed, pop songs and giving them a modern, fresh and vibrant feel. Given the right exposure you could see Kitrocket delivering some killer hit singles. The Knockouts are actually an explosive trio who, whilst being Swedish, have a style and sound which mixes both laid-back rockabilly but also a more country punk sound. Their album ” 5000 Miles From Louiseville” combines these elements, to generate a sound that you would expect had come from the US but, then again, for some reason Sweden has always been able to deliver these quality punk rock bands. Opening song “The Young Will Overcome” immediately shows the country influence with it’s reference to Nashville and the sound you hear behind the punk rockabilly rhythm. Likewise, “Sweet Bluebird Valley” again has a country/hillbilly based sound. However, don’t let this put you off, as it’s not country and western but instead far more cow punk. On “A Farewell Gone To Hell” it moves in to more of an Americana sound, but with hints of other punk influenced bands such as Lucero and Two Cow Garage. The opening of “End of Roddy Rhodes” is also very punk americana but with a cleaner vocal delivery than those other two mentioned bands. The Knockouts also clearly have an ear for a bit of commerciality as well. “Days Long Gone” still sees the punk influence but it moves in to a more commercial sounding chorus which gives it a very modern and relevant feel. Then, on one of the best songs on the album, “Salvation Song” they come up with a track that could so easily be a big commercial hit on US radio (or at least it would be, if they played decent rock records!). “Hometown Grounds” also shares the same classic US college rock feel. The modern punk rock sound continues through “Pennies And Quarters” which bares a resemblance to a more commercial and cleaner sounding Menzingers. They still have time to deliver a couple of more classic sounding numbers, where “The Way ‘Til The End” has that traditional rockabilly twang in the guitar before it then moves in to a punk/rockabilly mix. The final track on the album, “Stars Of Us’ rounds it all off nicely by being a straight up good time rock n roll song. There are no pretensions about it but just a well written and sharply delivered tune. The references to ‘country’ in their music may be a bit misleading as it is certainly more americana than country and western. They take an American heritage style, which you could call either country/folk/americana/rockabilly but then inject it with some pace and energy. This has the effect of adding a modern feel which ensures that they are bringing something different to their audience. The result is that it could appeal to a wider range of people and is a really strong album full of quality. “Pandemonium” is a great intro and the title itself is a good description of the sound. It’s a tuneful mix of so many sounds e.g. folk, rock, vaudeville, blue grass. On this opening song, it comes together in a beautiful mess of noise. This is also seen on “Home Of The Slave” which goes even further by adding in a ‘Cashesque” country element. Then on “Out Of Print” the bluegrass sound dominates but is delivered by a theatrical band. The Vaudeville type sound is back again for “Barley Wine Bump”, which could almost be a track from some kind of Baz Luhrmann like movie soundtrack. Importantly, the band are also able to tone things down and offer more straight forward songs as well. On “The Battle Of Clear Sight” it is more of a typical folk n roll song which is like The Avett Brothers. It has that same kind of Americana twang to it’s sound. Whilst they are able to deliver ram shackle songs, they also include a couple of slower, more reflective numbers. “Gone From You” slows things down in a surprisingly good fashion for a band which is typically so vibrant. It is delivered with a simple but heartfelt and intense sound. “Justice and Justification” again has more of a clean and simple sound, which provides some nice respite from the cacophony of sound in many of the other songs. The album actually also ends with a soft and sparse ballad called “All That We’ve Seen”. In fact, it comes as something of a surprise that these slower songs are actually some of the best on the album. Bands like the previously mentioned Mumford And Sons have opened up this type of sound to a much wider audience. Whilst Larry And His Flask may have a broadly similar style in terms of banjos and a folk/Americana base, they are far more vibrant and innovative. Interestingly, without the dramatic visuals of the live show, some of the slower songs actually give this album the level of depth and interest that it needs. Certainly, for fans of an Americana/folk/bluegrass type sound, who don’t want to just sit around in beards and jumpers, then this will be really great album. Lowlands are somewhat unusually an Italian roots rock band led by an English born singer-songwriter. It is clear from the outset, however, that their inspiration is from mid America. The album is actually produced by ex Soul Asylum keyboard player Joey Huffman and this is perhaps a good indicator of the type of sound they are going for. The first song “Angels and Visions” is actually quite different to the rest of the album where it has a modern quite aggressive sound using a megaphone sounding vocal. It is a brave opening sound and the danger is that it may not appeal to some fans of the rest of the album. The following two tracks however are more reflective of the roots rock sound where they have a cleaner all american/ modern Tom Petty type sound.The chorus of “Hail Hail” with its ode to Rock N Roll theme is a good upbeat song. The vocals are particularly impressive and whilst at first brings to mind perhaps Soul Asylum, after a few listens it shows strong resemblance to Johnny Rezeznik of the Goo Goo Dolls. The song “Ashes” begins with a slower/reflective style and is a good change of pace and builds in to a Springsteenesque ballad. This is followed by one of the strongest songs on the album, “Waltz in Time” which again has a modern americana rocking feel but with an added “pop” shine which is similar to the commercial turn that the band Marah followed on their sadly under rated album “Float Away”.Having built up a good head of steam on the album there follows two relatively slow paced ballads. Whilst both songs are good and display a more emotion driven sound, by placing both tracks together it does take the momentum out of the album. This may, however, have been more effective a track listing on a good old fashioned album where they would work better as a closing track on the A side and an opening side B. The remaining CD includes the title track “Beyond” which has a country, reflective sound and where the title itself echoes the imagery of the song. It is a real americana song which leaves you dreaming of open roads and warm evenings. The album opens with the intro/funeral march and its a bugle calling you to what presumably is the death of rock n roll. This intro leads straight in to the title track. This great opener immediately signifies that the death of rock n roll is still someway off. There is a great mid song break declaring ” The Last call for Rock N Roll” and with bands like the Loyalties around the death of Rock N Roll will thankfully be some time away. These guys are the embodiment of a rock band as they state in the song, even though they’ve “been drunk a thousand times, they always made the show”. The death theme continues with songs such as “The Will to Kill” and ” Death Girl” but there is nothing moribund about this album. “The Will to Kill” in particular is a great song and possibly the best on the album. It is actually a duet with a female singer which is really effective. The male/female voices joust on alternate lines before joining together for the catchy chorus. Its a pity more bands don’t try this as it creates a classic punk “love song’ all be it based on death! The song “Death Girl” somehow manages to produce a catchy opening which really just consists of a list of fatal diseases that the girl in question could be! The band often use a dual vocal technique on songs and this, combined with the catchy choruses, really gives them a great sing a long quality. This is certainly true with “Carry Me Love” which is probably the most commercial sounding song on the album and would sound great blasted out on a car stereo. This is something which is a throw back to the aforementioned Yo Yos. The Loyalties really benefit from having more than one great singer in the band and there is no reliance on a dominant frontman to lead the band. Its a great mix of talented individuals who form to create a great band. For those after some straight forward Punk Rock they are more than catered for with songs like “I’m The Blues”, “Whisky Under The Bridge” and “To The Flames”. These bring a punk attitude and sense of edge to the songs but importantly they never sacrifice the actual tune behind the song. There is always a melody underpinning the sound and this shines through the overall raucous approach. On “Whisky Under The Bridge” there is also a great guitar solo with a really clear tone. It is easy to regard these tunes as just simple punk rock but the skills of the band in terms of musicality and song writing should not be underestimated. The Loyalties really shine on the songs where they add a touch of “Swagger” to the sound and this is particularly evident on the tracks ” Meat In the City” and “Ashtray Empty”. The lyrics on the first of these really need to be heard to believed but its fair to say they probably wont appeal to the Vegetarians out there. “Ashtray Empty” begins with a great opening, bringing in drums, bass and a great guitar line. Its perhaps unusual to remember an ex girl by her cigarette butts and yellow fingers! but its a brilliant song. The song “One Reason” starts with a live crowd recording and then has a chant along vocal with a sing along chorus and will definitely get a crowd jumping and dancing. It’s a reminder that all the songs on this album are designed to be played loud, fast and live. They are perfect for a packed gig at a proper rock n roll club with plenty of drinks, a sticky dance floor and questionable toilets! The album concludes with “Epilogue/ Rock & Roll Over (and die)”. 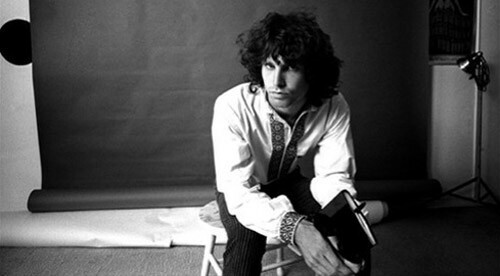 The song references some classic songs with lines such as “No room at the heartbreak hotel” and “No seats on the mystery train”. The lyrics show the band really knows its rock history and this probably explains how they are capable of producing such a solid and fun album. There is no faking it here, this is a band who genuinely love music and live the rock n roll life. This is the longest track on the record but it doesn’t feel like it, probably because you don’t want the rock n roll to the end. In fact, it will only end when the CD finishes and then only until you start the album again. Given this is an album with a death theme at its core it is amazing how upbeat it feels and, somewhat ironically, full of life and vitality! One thing that is clear is that as long as bands like the Loyalties are producing brilliant albums like this it will thankfully be a very, very long time until Rock N Roll dies. Anyone who heard Lydia Loveless’ brilliant debut album, “Indestructible Machine”, will not be surprised to learn that her dad used to own a country music bar. That album was a great combination of country influences mixed with just the right amount of punky, trash dirt. Given her young age, it was not surprising to see it filled with feelings of anger and rebellion. It is therefore great to see that she has now released this EP, which is again on the brilliant Bloodshot Records label. It opens with “All I Know” which is a great country influenced song but with a surprisingly real pop sound. You are immediately hit with the quality of her voice and it shows why Loretta Lynn is often referenced. The song has a great swing and melody to it and has a real sense of warmth. This successful formula is continued on “All The Time”. This song is driven by a great skipping drum beat which carries the melody along. Lydia even manages to make a big fall out with her seem appealing on the song “Lover’s Spat”. This tune sees a little spike added to the sweet pop sound. The title track “Boy Crazy” is probably the ‘rockiest’ song on the EP with it’s more prominent guitar sound. It appears to be an ode to teenage love and shares that same sense of youthful exuberance. The closing track is a great country ballad that Dolly herself would be proud of. Although, she might not be quite so keen on the lyrics which are not be as ‘wholesome’ as the song sounds! Again, it also shows the strength and power of her voice. The song is delivered with passion and emotion but without sounding over the top. The previous album was a mix of country, rock and pop and had that added element of spite and anger. On this EP we see her truly embrace her pop sound. The songs here are well written, perfectly executed pop songs with that country feel underpinning them. The sound is admittedly very ‘American’ and this type of music has, perhaps understandably, struggled to get as much exposure over here in the UK. This is a real shame given the undoubted quality of Lydia Loveless and hopefully this EP will reach more fans in the UK, so we can share some of that bright, country sunshine.